You are here: Home / artist to artist / What Makes a Work of Art New? What Makes a Work of Art New? Artist grants (such as Mass Cultural Council’s fellowships) often require that submitted work be original, not a translation, adaptation, or interpretation of work by another artist. But where the dividing line resides between original and interpretation is not always so clear. What about art that begins as an adaptation or interpretation but then veers into entirely new territory? Appropriates imagery, video, or text but then reinvents it into something altogether different? In short, what makes a work of art new? Curious, we asked a range of artists in different disciplines. Newness in art (as in life), doesn’t refer to something that’s never been seen before. Every tale, character, every fracture of light across brushstroke has been seen, touched, heard, and dreamed somewhere over the history of the world. Art is new, and made new again, when it achieves enough emotional resonance to stop your heart. To be new, art must cause you to die for a moment, to cease to be, while forcing you to reconsider that which you know and that which you thought you could never know. Art that is new, truly new, must also have the energy and critical magic to inspire not just your resurrection but your renewal. It gives you no choice but to go on. While it is true that modern dance’s pioneers invented movement languages that were revolutionary, modern dance in the twenty first century may rely too heavily on the idea that movement invention is the yardstick for “new” work. We have over one hundred years of valuable modern dance vocabulary that continues to be in creative conversation with the much older language of ballet, and the yet older languages of countless dance forms around the world. For me nothing is “new” beyond the individual artist’s perspective on the world they live in and the way that they engage the language of their form to reflect on this unique moment in time. Art comes around and around again and again. As an Irish dancer, I work with traditional steps and rhythms that are hundreds of years old. Irish dance steps are usually not transcribed or written down, and there is little standardized terminology for the movements. Steps are passed on through live teaching, and are retained through practice and performance. The repertoire lives in the dancer’s body and mind. Creating new choreography with “old-style” steps allows me to participate in the Irish dance tradition in an exciting and personal way. The traditional steps provide the vocabulary, but the themes, designs, and new steps that emerge are very much part of a contemporary creative process. I suppose this is why we call it a “living tradition.” As a choreographer, I honor my traditions and continue to probe them – learning and contributing, reviving and creating. Digging into old dances inspires new ones. Read more and see a video of Kieran’s dancing. What do you think makes a work of art new? Share a comment to join the conversation. You can read more enchantments from KL Pereira (@kl_pereira) on her Web site and at grubdaily.org where she blogs about genre fiction. Pereira teaches courses on Crafting the Villain, Horror and Dark Fiction, beginning and intermediate fiction, and novel writing at Grub Street. Jody Weber recently received grant support from the Somerville Arts Council to support a multi-media dance work that incorporates portions of Jon Turk’s kayak expedition memoir, The Raven’s Gift. Film/video artist Suara Welitoff recently won the Rappaport Prize from the deCordova Sculpture Park and Museum. Kieran Jordan, a Mass Cultural Council Fellow and Traditional Arts Apprenticeship Master Artist, is a performer, teacher, and choreographer of Irish dance. She will be performing with the sean-nós Irish dance show Atlantic Steps at the Berklee Performance Center on March 23rd. Learn more at the artist’s Web site. 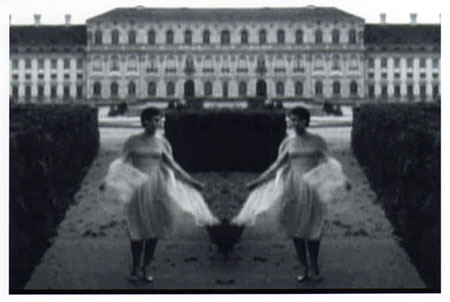 Image: still image from RORSCHAK (2010) by Suara Welitoff.